Wait, So It's a Swimsuit Competition? In the last three years I have been asked many times, and in many different ways, why I have decided to compete in pageants. Frankly, it is a pretty confusing endeavor to many people. It doesn't sound entirely appealing when you say it in the most basic sense - you compete for scholarship dollars by interviewing, walking in patterns in dresses and a swimsuit, and present a talent in 90 seconds - all while wearing a lot of makeup, glue on some part of your body, and heels. However, you will meet some of the most intelligent, talented, and kind young women (and volunteers.) You will develop a greater understanding of yourself, of what you are capable, and of the limits that your mind and body (and patience) are able to go. 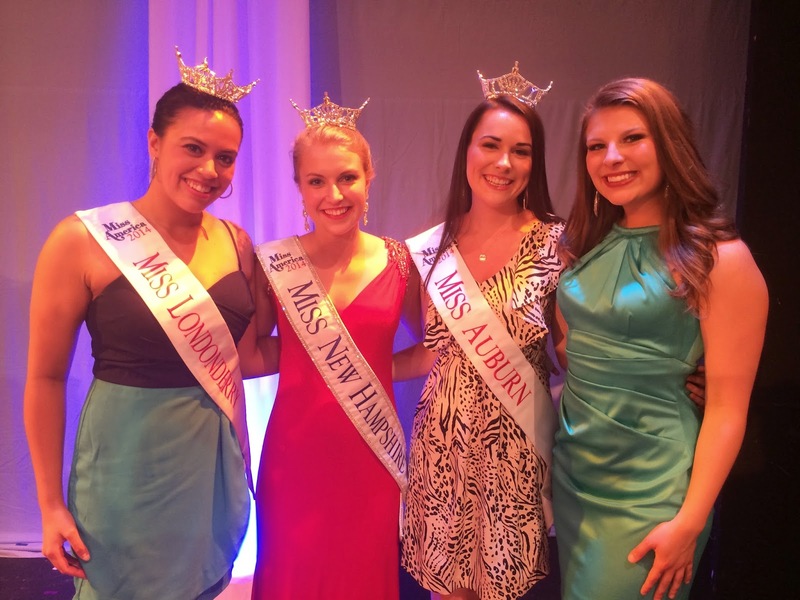 Competing in Miss Vermont, and Miss New Hampshire, did not just teach me how to apply false eyelashes (near) flawlessly, or the value of a large can of hairspray and always having double-sided tape on hand. It gave me friends that I will have hopefully for the rest of my life, it brought me jobs, it made me a healthier and happier person. I'm a very different person than I was when I started this journey - in the best way possible. I could not have asked for better experiences in each of the pageants that I have competed in. They are not easy, they are not slipping on a dress and slapping on some lipstick and walking on stage. They are hard work, and they are challenging, and they genuinely force you to grow in each aspect of your life. That is why I compete in pageants, because they make me better. They have made me smarter, more competent, healthier, more confident. They have allowed me to become a person that I could only have hoped to be as watched Miss America crowned year after year. It is still a little confusing, to a buy a swimsuit that won't touch water. It is still a little odd to be referred to as a "pageant girl." But I wouldn't change a single moment of it. Well, it except for the first time I inhaled spray-tan. That was gross.